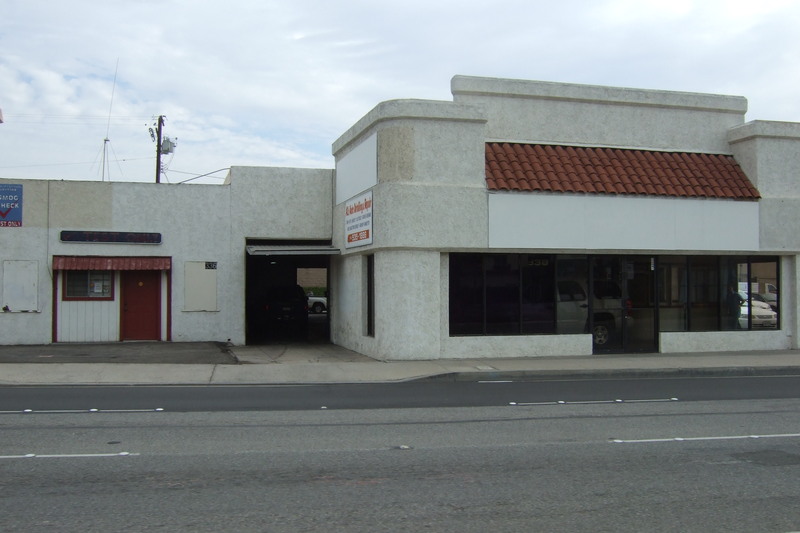 As early as 1923, this building was a car dealership in downtown Anaheim. 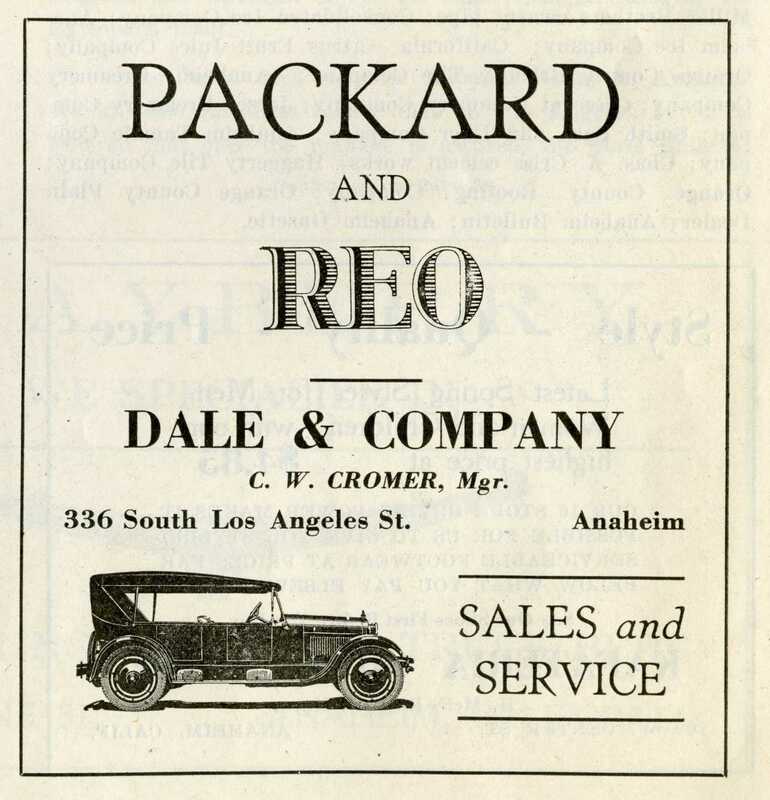 It went by many names over the years, but from 1926 to 1930, the Anaheim directory listed it as Hightower & Cromer, Packard Sales and Service, Eugene H. Hightower and Clyde W. Cromer. Clyde Cromer had been manager since 1924, when the business was Dale & Company Autos. Here’s a photo from 1926. 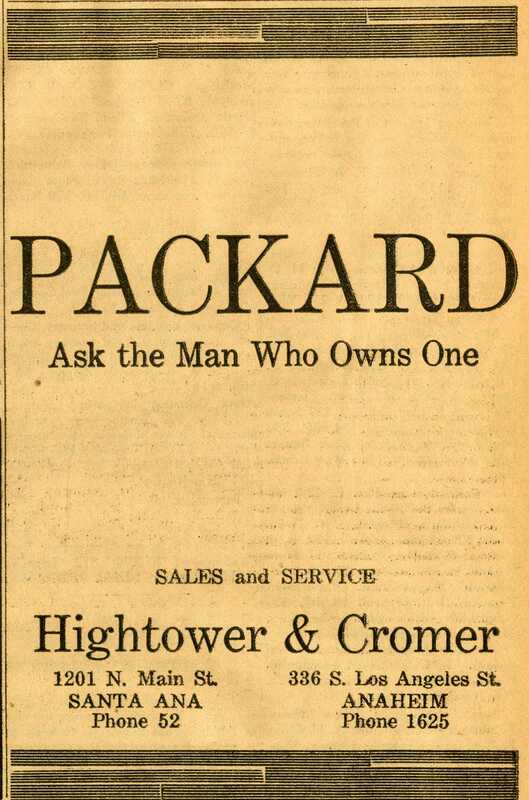 You can almost make out the names “Hightower and Cromer” on either side of the big PACKARD sign. Here’s what the same building looks like today. It’s been in the automobile trade since it was built. Lately, it’s been auto detailing, car repair, upholstery, and smog check station. Still has a smog check station in the northwest corner. The cool thing is that some of the original windows remain under the stucco. When I was crawling around in a storage area over the front room, I found a label stuck to one of the roof supports. It had the cursive Packard logo, and looked to come from a repair parts box. I’ll try to get a photograph next time I’m in the building. Here’s some ads from the twenties. Los Angeles Street was re-named Anaheim Boulevard in the early 1960s. 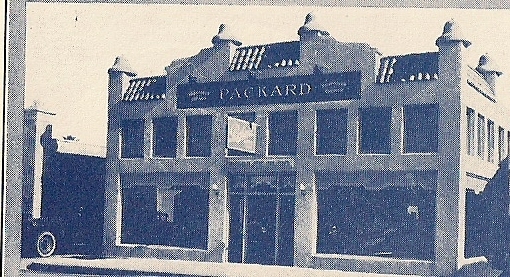 This entry was posted in History, Packard and tagged Packard. Bookmark the permalink. Did you know that my parents owned a 1950 green Packard 50 years ago and my dad loved beer? It must be a good omen! Well the whole building has been restored back to the original tile and Packard sign. It’s now an upscale burger joint and microbrewery. I’d pop in a picture but you can go to Google Maps and see for yourself.